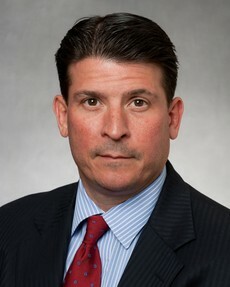 Brian Thompson is one of the founding partners of Silverman, Thompson, Slutkin and White and is currently the partner in charge of the State Criminal Trial Division. Mr. Thompson devotes his time to litigating criminal cases and related civil and administrative actions. Brian Thompson is widely recognized as one of the top lawyers in Maryland. He has received a perfect 10.0 "Superb" rating from Avvo, one of the most respected attorney rating services in the country. 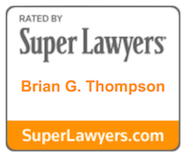 From 2014, 2015, 2016 and 2017, Mr. Thompson was named as one of Top 100 Lawyers in Maryland by Superlawyers Magazine. This honor, which is based on peer voting, follows seven years of being named a Super Lawyer, a distinction reserved for only the top 5% of attorneys in the State. Very few criminal lawyers ever receive this exclusive status among Maryland Attorneys, much less "top 100" in the state. With over 35,000 practicing attorneys in Maryland, being named among the top 100 or .02% by his peers clearly identifies Brian Thompson as among the most elite attorneys in the State.